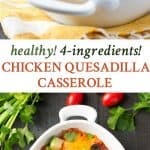 Home » What We're Eating » Chicken Quesadilla Casserole + A Video! 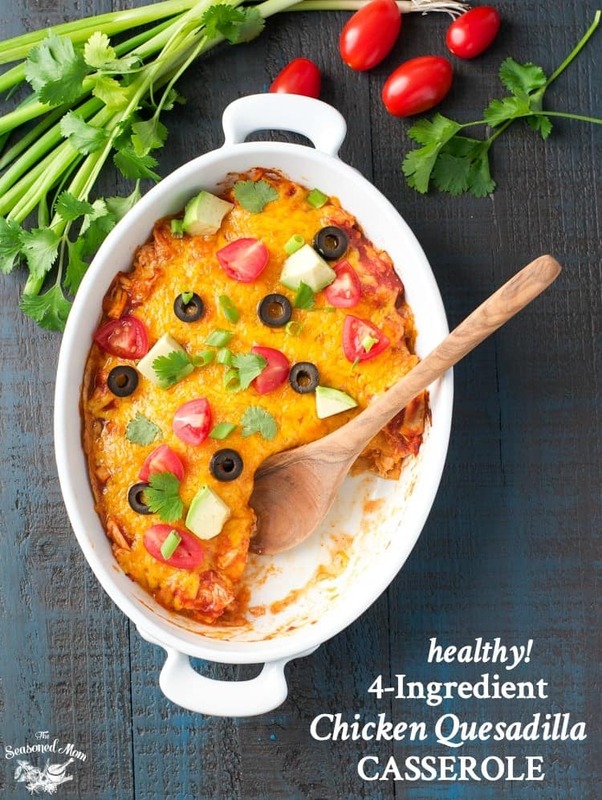 A delicious, easy and healthy chicken quesadilla casserole made with only 4 ingredients! This is something that's sure to please the whole family. Think that you don’t have time to cook a healthy dinner at the end of the day? Think again! This 4-Ingredient Chicken Quesadilla Casserole comes together in just 5 minutes — no prep work necessary! 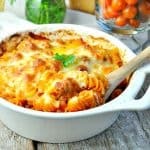 It’s the ultimate family-friendly dinner to make your busy weeknights just a little bit easier. We all have those default meals that we turn to when we don’t have anything else planned for dinner, right? What’s yours? Is it mac and cheese from the blue box? Spaghetti? Pizza? In our house, the quesadilla is one of our favorite go-to options. It’s just so simple, and it makes everyone happy! While there’s nothing wrong with serving a quesadilla for dinner multiple times per month, sometimes I feel like I’m in a “rut” and I need to mix it up a bit. Plus, I love meals that I can prepare in advance without any effort at the end of the day. 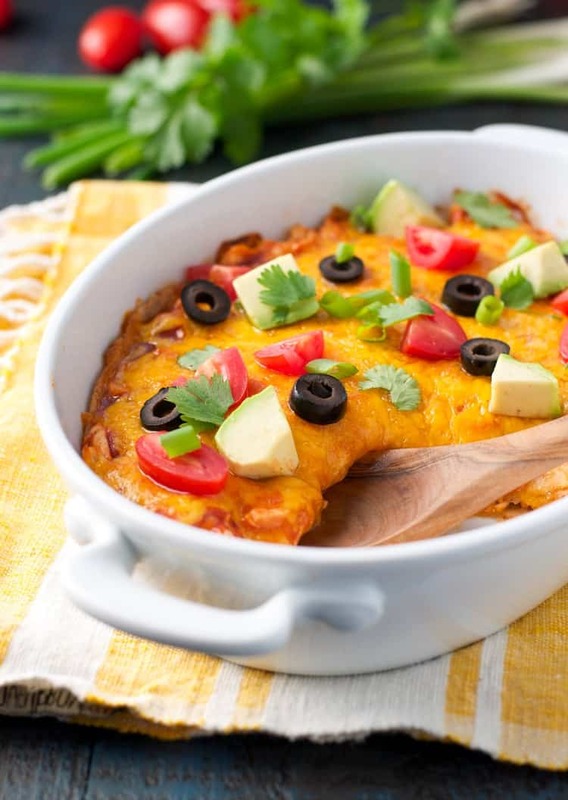 This Chicken Quesadilla Casserole is basically the dump-and-bake version of our favorite dinner! If you have leftover veggies such as bell peppers and onions, add them in too! Toppings always take these chicken quesadillas up a notch, sour cream, avocado, olives and tomatoes are great choices. Cooking for Two? 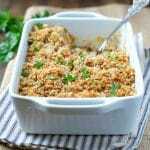 The portions are small in this dish, so you might prefer to prepare the whole recipe and just enjoy a larger serving. In the alternative, you can use a smaller baking dish and cut the ingredients in half (just tear the tortillas to fit the size/shape of any dish that you are using). Want to Prep Ahead? 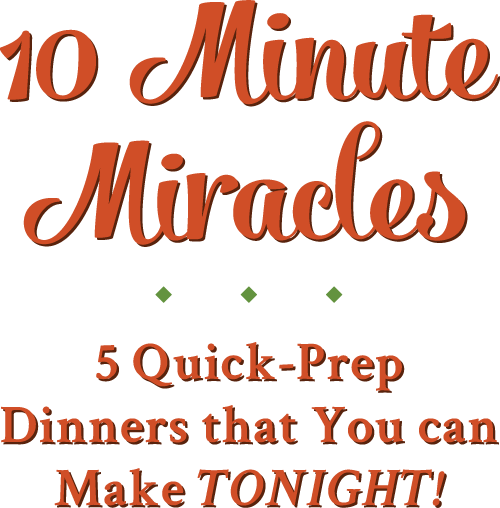 This is a great freezer meal to make in advance. Follow the recipe instructions through Step 4, then wrap tightly with plastic wrap and foil. Freeze for up to 3 months. 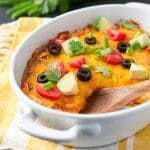 When ready to bake, you can thaw in the refrigerator overnight and bake as instructed; OR you can bake the frozen casserole (just add about 15 minutes to the baking time, or cook until completely heated through). I seriously feel like I hit the jackpot with this recipe. It’s fast, it’s freezer-friendly, it’s healthy, and everyone loves it. Plus, we can all customize our individual servings with the toppings of our choice (more avocado for me, please)! Keith always loves chips and salsa with this dinner, while the kids prefer corn or bell pepper strips. No matter how you serve it, this is a healthy protein-packed meal that will make dinnertime easy — even when you don’t have time to cook! 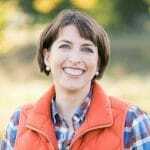 And thanks to my videographer friend Ben, I have a fun video to share with you today, too! He used giant tortillas here and didn’t cut them, which is a perfectly fine option. I usually have smaller tortillas that I cut to fit the dish and place them in a single layer (with small parts overlapping). Either way is fine — you seriously can’t mess this one up! Preheat oven to 350F (180C). Spray a 1 ½ -quart baking dish (or an 8-inch square dish) with nonstick spray. In a large bowl, toss together chicken, half of the taco sauce (about ½ cup) and half of the cheese (about ½ cup). Place 2 of the tortillas in the bottom of the prepared dish, tearing them as necessary to cover the bottom (overlapping is fine). Top with half of the chicken mixture and drizzle with ¼ cup of remaining taco sauce. Repeat layers one more time. 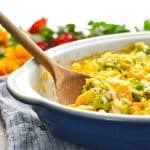 I could definitely get behind this four ingredient casserole! I’ve made something similar before, but it was an enchilada bake. Love your quesadilla version! It’s making me want to dig right in for breakfast! Yep! 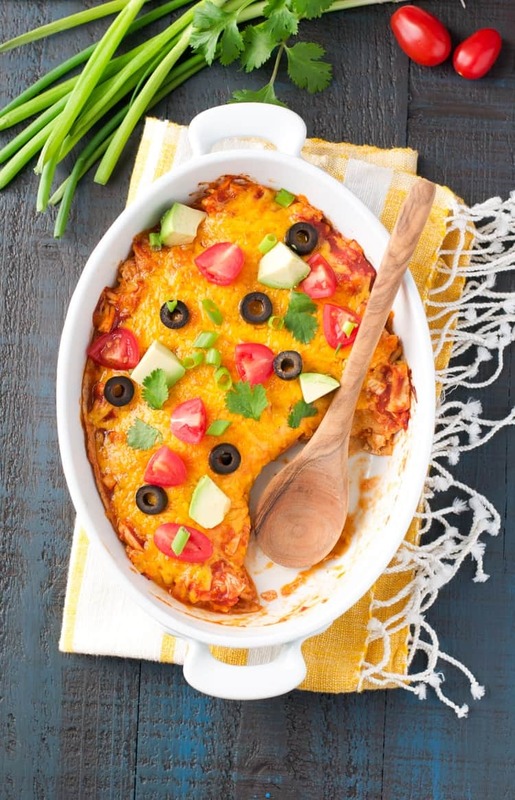 I’ve got an enchilada version on the blog too. This is definitely a tasty twist! 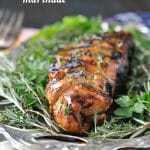 This is a great quick and easy meal. I would probably have to double it, but I love that it uses minimal ingredients. Thanks, Erlene! 🙂 Great to see you here. Hope all is well! Yum! Thanks for inspiring tonight’s dinner x.
Scrumptious recipes with only a few ingredients are my absolute favorite, especially in the midst of a hectic work week. This one is getting pinned and made SOON! Thanks Blair! Thanks so much, Kate! You’re right — it’s a perfect weeknight dinner! Blair, sounds like you had quite a week with Keith away. Would you mind posting the recipe for the 3-ingredient coconut smoothie? It sounds soooo good!!! You always have the best casseroles, Blair! This one look SO easy and so delicious! Please add grams for your non US readers – thank you!